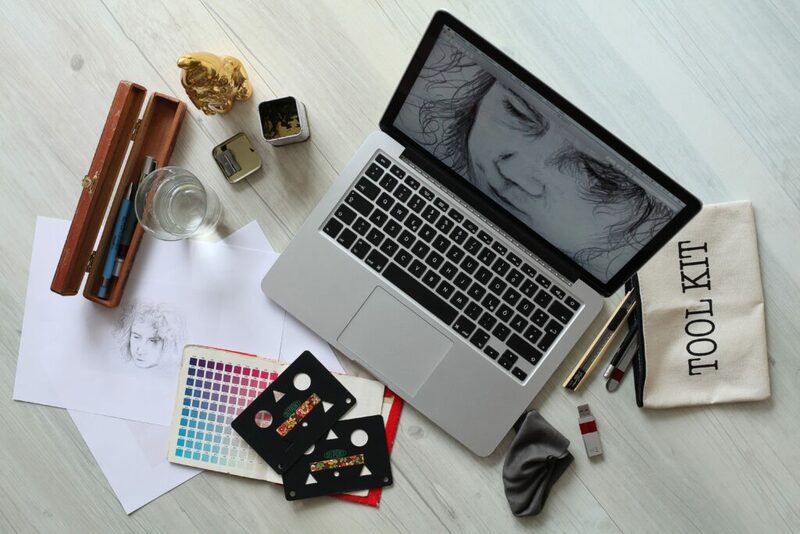 Do you want to be a senior graphic designer? Well, it’s not impossible. Just keep in mind that a great resume is your best weapon to pass the first phase of job hunt—resume screening. One way to create a resume is by reviewing senior graphic designer resume examples. Apart from their rich keywords, these samples are also optimized for this job post. What is a senior graphic designer? A senior graphic designer leads and supervises a team of creatives. They also have the authority in the decision-making over intermediate and junior designers who create concepts and layouts. Now, are you still up for this role? If yes, know the senior graphic designer requirements. Doing this will tell your status if you’d pass the screening. How to become a senior graphic designer? In general, a senior graphic designer should have a degree in graphic design. Also, three to five years of experience in leading a team of artists is a must. A senior graphic designer should also have vast graphic design background in creating artworks for various channels. At this point, assess yourself on whether you’re fit to be a senior graphic designer. Hence, your chance of acing the job hunt is better. Are you familiar with resume builder? This is a tool which can help you create your resume easily. You just have to choose a template, supply the details, and you’re done. To guide you, check out this senior graphic designer resume. Highly creative, remarkably astute, and talented professional, offering extensive experience in graphic and industrial design, marketing materials development, brand creation, promotional events management, and advertising campaigns execution. Expert in utilizing complex experience in creating both traditional and new media utilizing combined knowledge in traditional design and computer-aided techniques. Flexible and open to new ideas and concepts, with in-depth understanding of advertising and client servicing. Demonstrate exceptional work ethic, compliant to branding guidelines when designing and effectively manage feedback to meet client’s specific requirements. Expert in project management from conceptualization to delivery, with solid background of the print production process. Brand Development: Utilized ability to generate creative ideas and concepts in the creation of brand identity and comprehensive brand strategy. Industrial Design: Created industrial and graphic design of RF and IR voting units and receivers, including 3D modelling of plastic sub-assemblies and front-overlay design. Graphic Design and Marketing Materials Production: Led the innovative development and production of ATL and BTL marketing collateral, such as brochures, direct mails, advertisements, web pages, and accessories; directly involved in the 3D design and modelling as well as product package design for mass production. Events Management: Spearheaded the conceptualization, organization, and orderly execution of congresses, presentations, ON/OFF trade promotions, company parties, promotional games and campaigns, holiday celebrations, and staff development activities. Selected, designed, and produced the appropriate promotional and corporate gifts and printed materials that matched the events. Marketing Campaigns: Provided expert direction in the design and execution of campaigns for big international companies along with the concept design and monthly updating of one of the largest market research companies in the world. Developed concepts of BTL promotional campaigns, including logo designs, marketing collateral promotional gifts, and uniforms. Designed, implemented, and managed Optimus (voting system for municipalities) that led to its successful penetration of the national market, gaining 12% in market share within only two years. Managed a small creative agency that provides graphic and industrial design, marketing solutions, and ATL and BTL event management services for clients, such as Allied Domecq Agencies, Pernod Ricard Slovenia, Abbott, and GfK Slovenia. Led the creative concept development and execution of BTL promotional campaigns for Ramazzoti, Chivas, Ballantine’s, Jameson, Gopten, and Cimbalta, among others. Directed the proper implementation of KAOS RTD drink promotions for major soft-drinks manufacturer, Fructal. Designed and completed on-time office renovation for Chivas and Ballantine’s. Provided graphic design services, prepared press ready files, and validated quality of final printed materials for clients, including Allied Domecq Agencies d.o.o. Uluru CAffee – Škofja Loka, Študentski servis, and Garac. Now, there are a bunch of resume samples online. But, how would you know if one is good enough? Read this list. It doesn’t have a senior graphic designer resume objective. The senior graphic design profile summary is enticing to readers. The senior graphic design resume skills contain powerful keywords. Details are tailored to the senior graphic designer job description. The career overview has power verbs. Finally, you can begin writing your resume. Use what you learned in senior graphic designer resume examples. But do you need help in crafting yours? Check out our tips on how to create a resume. Better, call us now and talk to our experts to know more about our best resume writing services.